Investor interest continues to grow in Spanish real estate investment trusts, which promise high yields and a relatively conservative approach to rolling the dice on Spain’s property recovery. The latest U.S.-fund to make the move is New York-based Anchorage Capital Group, which is reportedly planning to invest in an IPO by Rodex, a firm controlled by Luis Alfonso Lopez de Herrera Oria. Rodex will list as a Socimi, the Spanish equivalent of a REIT, according to media reports. Rodex is already embroiled in the bidding for Castellana 200, an office and retail development in Madrid, which has been offered by sale by a collection of banks. The Rodex announcement is the latest in a flurry of REIT-related activity in Spain, which is expected to pick up pace in 2014 as investors look for different ways to access the market, especially commercial property. In March two funds went public, each backed by large international funds. Lar Espana, a subsidiary of Grupo Lar, raised €400 million, with Pacific Investment Management Co. as a lead investor. The California-based PIMCO reportedly owns about 12.5 per cent of the new REIT. 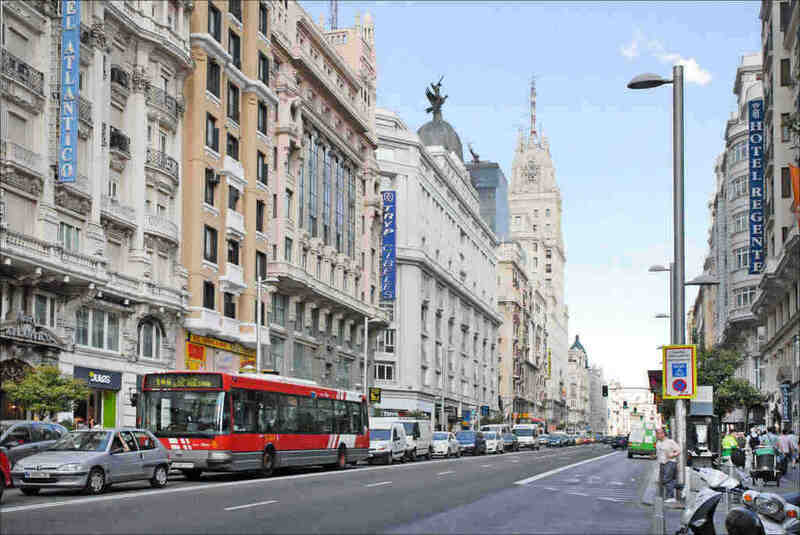 Lar Espana hopes to deliver a 12 per cent annual return to shareholders by focusing on retail properties throughout Spain, and office properties in Madrid and Barcelona, with the “possibility” of residential, according to the fund. The other Spanish real estate fund to go public in March, Hispania Activos Inmobiliarios, reportedly include heavyweight U.S. fund investors George Soros and John Paulson. Hispania raised €550 million, with plans to focus on residential apartments, offices and hotels, assets that typically “require either some repositioning, capex investment or active asset management,” the company says. Hispania, which is managed by Azora Gestion Inmobiliaria, made its first public purchase last month, paying a reported €21.5 million for the Hotel Guadalmina Spa & Golf Resort in Marbella. The biggest REIT move is due this summer, when Merlin Properties is set go public as the country’s largest REIT by market cap. Merlin will be run by David Brush, former head of Europe for Brookfield Property Group, as well as former executives from RREEF Spain and Magic Real Estate. Merlin will focus on commercial property in Spain’s largest cities, as well as a few properties in Portugal, Bloomberg reports.